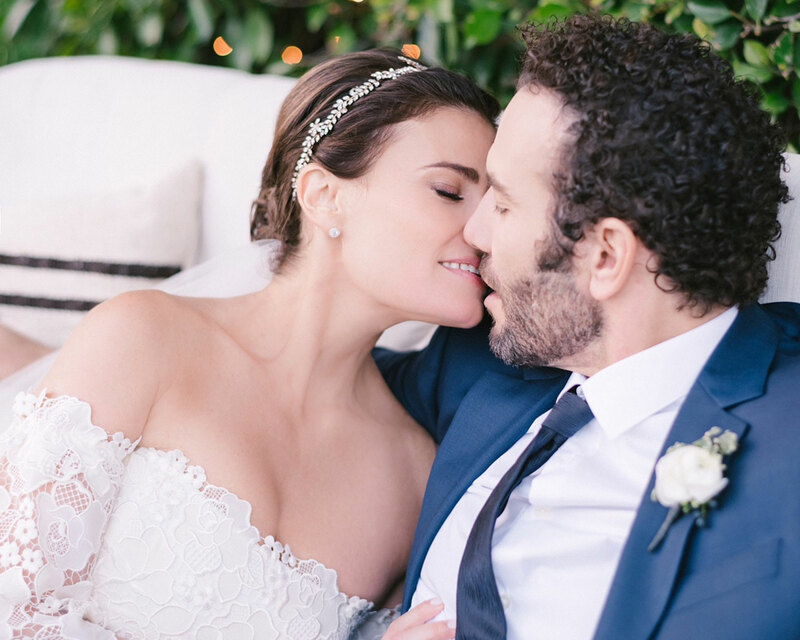 Idina Menzel’s wedding photos will make you want to do the opposite of letting go. The Broadway superstar shared the first look inside her magical backyard wedding on Monday, September 25, after announcing she had secretly married her Rent co-star Aaron Lohr over the weekend. The bride also graciously credited her vendors in the post. For the occasion, Menzel wore a lace, off-the-shoulder piece with fluttering sleeves by celebrity-beloved designer Carolina Herrera. She paired her outfit with Jimmy Choo heels and an intricate floral headpiece by accessory designer Jennifer Behr. Finally, Menzel rounded out her look with diamond studs by jeweler Ricardo Basta. Menzel’s makeup was perfected by Genevieve Herr. Hairstylist Geo Brian Hennings, who worked closely with the singer especially during her world tour this year, styled her tresses in a clean and sleek up-do. The groom looked equally handsome in a navy suit, clean white button-down and black tie. Menzel’s bouquet was colorful with touches of red with cream ranunculus flowers and greenery. The couple appeared right at home as they comfortably posed in backyard in Encino, California. Event planner Jo Gartin designed the outdoor occasion. California-based photography couple Amy & Stuart captured the images. Wanted to let you know… married the love of my life Aaron Lohr this weekend at our home. Dad & son walked me down the aisle. It was magical. Thank you to everyone who helped make my wedding day so special. Lohr and Menzel have long remained friends before their relationship turned romantic in 2015. She was previously married to Taye Diggs for 10 years before they separated in 2013. 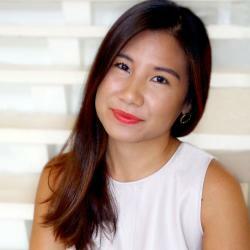 She shares 7-year-old son Walker with her ex. The actor proposed to Menzel a little over a year ago, popping the question with a 2-carat ring customized by Brilliant Earth. At the time, The Knot reported that the vintage piece was “ethically-sourced, beyond conflict-free” and set on platinum. Be the first to comment on "Idina Menzel’s Wedding Photos Will Make You Want to Build a Snowman"